Although I don't have anything against shopping mall food fairs, it is not really something that I am overly anxious writing about. Don't get me wrong, I eat at food fairs every now and then because it is convenient and really, the kids like it. However, I'm sure most people have tried most of the food stalls that are common with practically every food fair. 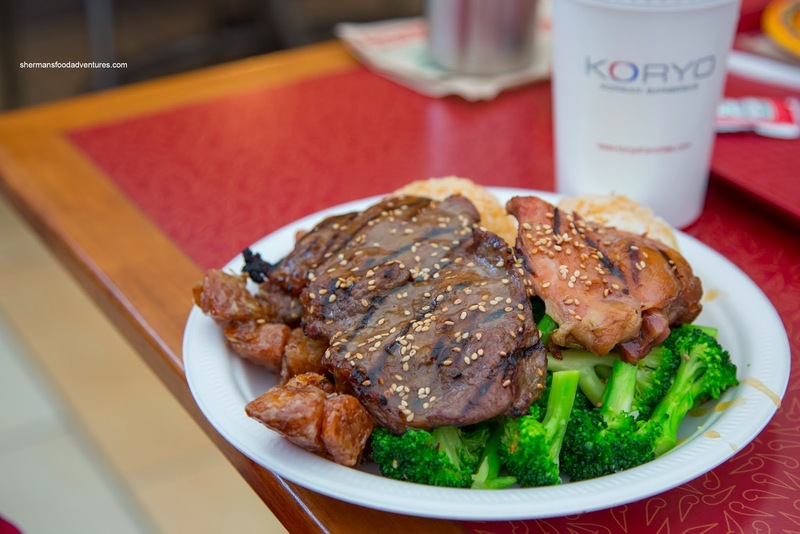 One that may not be as well-known is Koryo in Brentwood Mall. Serving up Korean BBQ and a selection of sides, this has to be one of the best values I've seen. 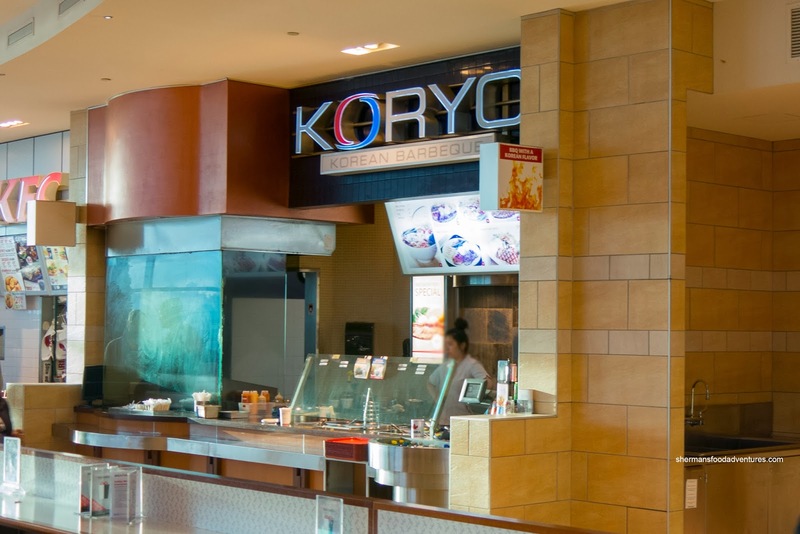 Now to get things straight (for those food snobs out there), I'm not implying that Koryo could even be compared to an actual Korean BBQ restaurant, but it serves a purpose for where it is located. I've actually eaten there many times and finally felt the need to blog about it. Cutting right to the chase, their signature item is the Jumbo Combo for $10.49. 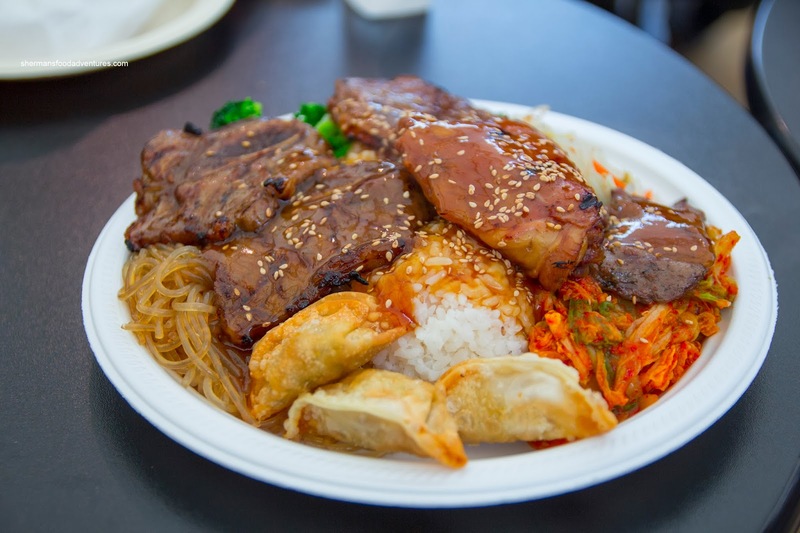 This massive plate of food includes short ribs, chicken, beef, fried dumplings, rice and 3 choices of sides (in this case, japchae, kimchi and broccoli). Honestly, it can easily feed 2 people easily. Although the meats are dry (in particular the chicken) and the sauce is teriyaki, the food is okay for a food fair. For those less hungry, there is the Lunch Special that includes chicken, beef, rice, choice of 2 sides and a soft drink for $8.69. Now I wouldn't recommend the Ginger Salmon ($9.49) though. The pink salmon filet is dry and flavourless. However, the ginger dressing is nice though. Also, for takeout joint, the kimchi is flavourful and aesthetically-pleasing. I've had the side of fried potatoes a few times and I have to say you will either love it or hate it. I'm not a huge fan because they are super-greasy and overly sweet. 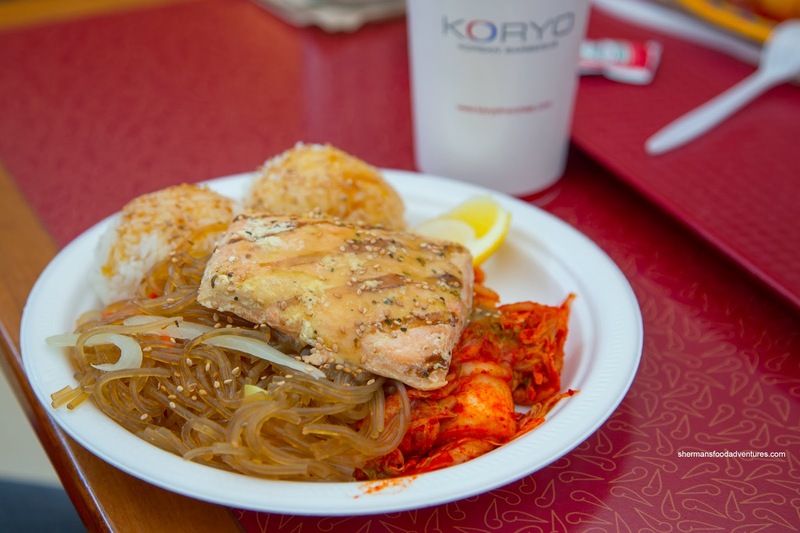 Whatever the case, if you goal is to get really full and on the cheap at the mall food fair, Koryo is a good bet.